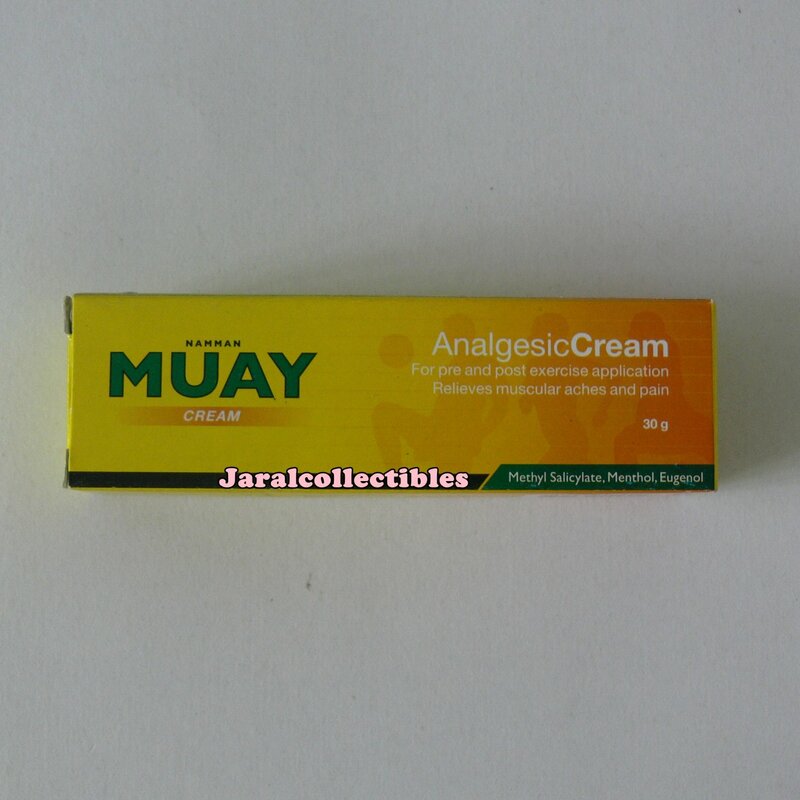 Namman Muay Thai Boxing Cream is analgesic cream for pre and post exercise. It's also help relieves muscular aches, pain, strains and sprains. This unique massage cream is very popular among Thai boxers, kick boxers, MMA athletes and also are used by athletes around the world. It’s a must have item for any training session or competition providing warmth to relax muscles before or after any strenuous exercise. Many practioners that currently use this product all know that it is a necessity prior to any serious fight. Just simply rub or massage it into your muscles as pre-warm up those muscles and open up your nostrils with its distinct odor, you’ll be ready for action. This product can be used as a warm up tool or simply apply to those tired, aching or mildly injured muscles. 1.Massage Namman Muay Boxing Cream all over the body as a pre-sport warm up and gently massage, then re-apply after sport or strenuous activity to loosen tight muscles or for pain relief. 2.Gently massage Namman Muay Boxing Cream as an injury treatment at least 3-4 times a day to the affected areas such as Muscle, Joint, Arthritis, Lumbago. To expedite the shipping period, DHL (3 to 7 Days) is available for faster delivery; please contact us via eCrator message. Combined Shipping for Multiple Items: Available, please contact me via eCrator message for each additional posters paid in the same payment transaction (except free shipping items). Please kindly give us 5-star rating on all DSR Score. We put our best effort to make you satisfied and always try to have precise description with clear and accurate photos. If description or photos make you confuse, please send us eCrator message, we'll answer you as soon as possible.